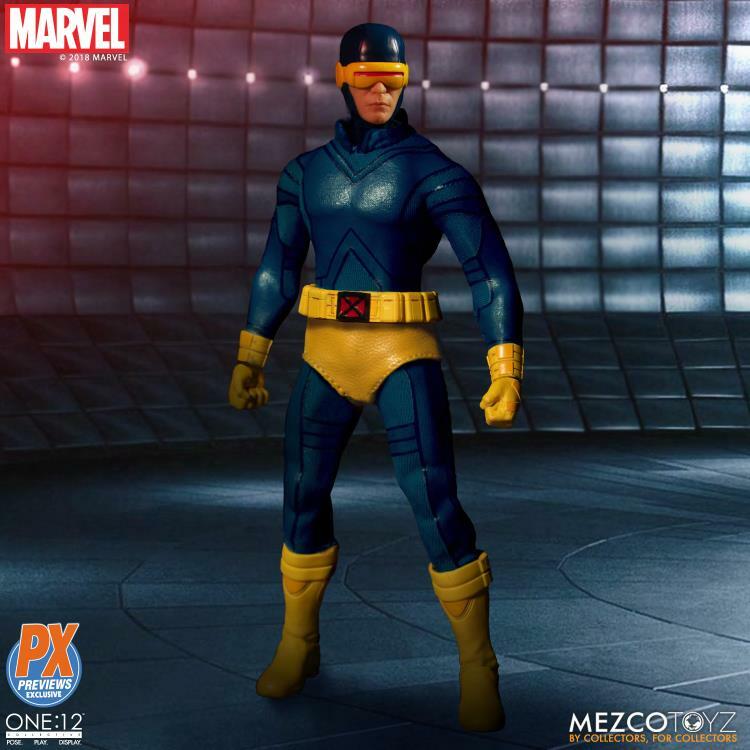 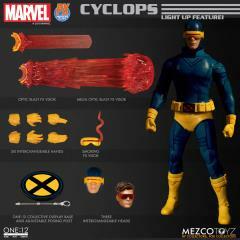 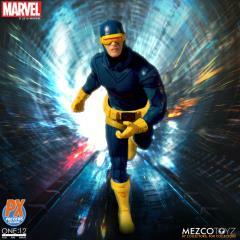 The One:12 Collective Classic Cyclops features the born leader and gifted hero outfitted in an aramid fiber x-suit with a utility belt inspired by his classic costume. A light-up optic power function illuminates his signature ruby-quartz visor, containing the uncontrollable energy blasts from his eyes. 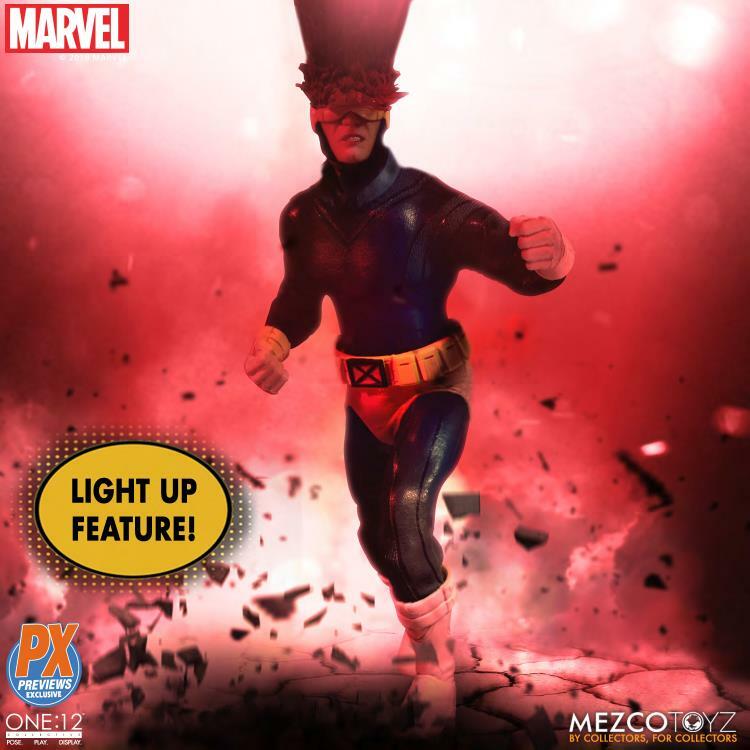 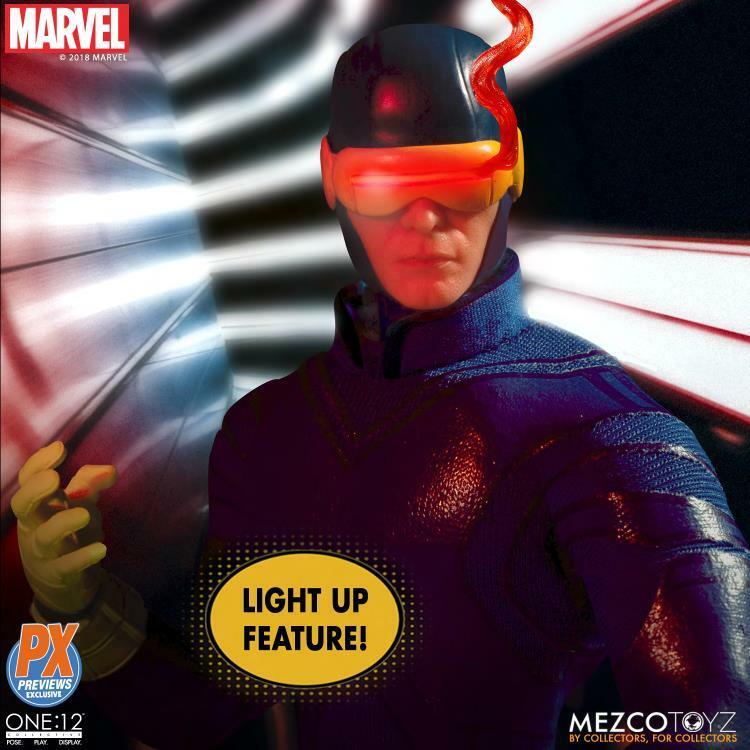 Cyclops comes complete with a range of visor effects that light up when affixed to either head portrait, reflecting his devastating mutant abilities. 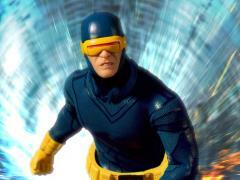 Scott Summer's mutant power first erupted from his eyes as an uncontrollable blast of optic force. 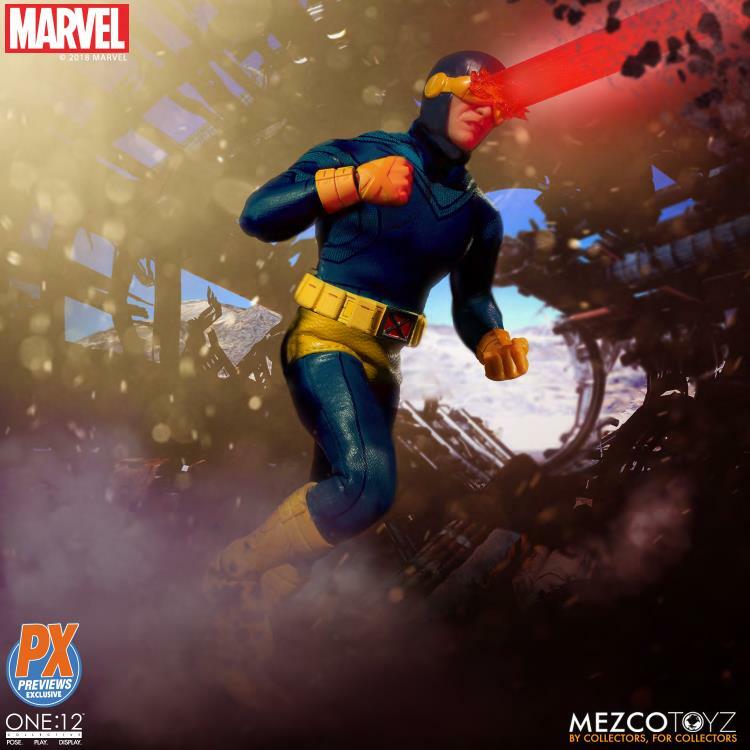 Rescued by Professor Xavier, he was recruited as the first member of the X-Men - a team of young mutants who trained to use their powers for the good of mutants, humans, and equality.